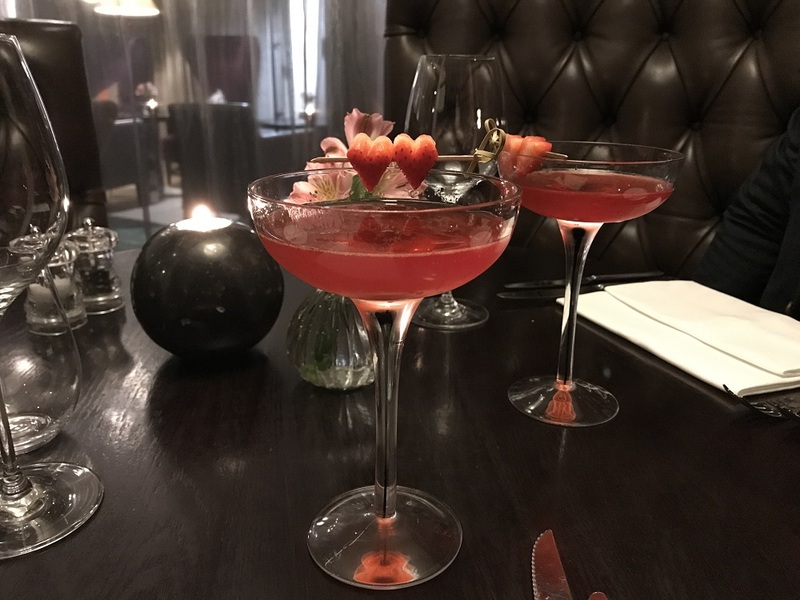 If you want to really treat your significant other, then cupid’s arrow will be flying to their heart if you plan your dinner date at The Arch’s fine dining Hunter 486 restaurant for a Valentine’s Day sensory dining experience. We went along to try it out and were truly delighted by the experience. The surprises began right from the start when we were shown into the softly lit restaurant and a private booth with a sheer curtain – an intimate and romantic setting for our dinner. Then the real cocktail appeared – the Love Potion No 9 – suitably red, intoxicating and yummy. I suspect it had Campari in it but it’s a secret! Even the bread was a delight and little touches like the heart shape butter pat made us smile. 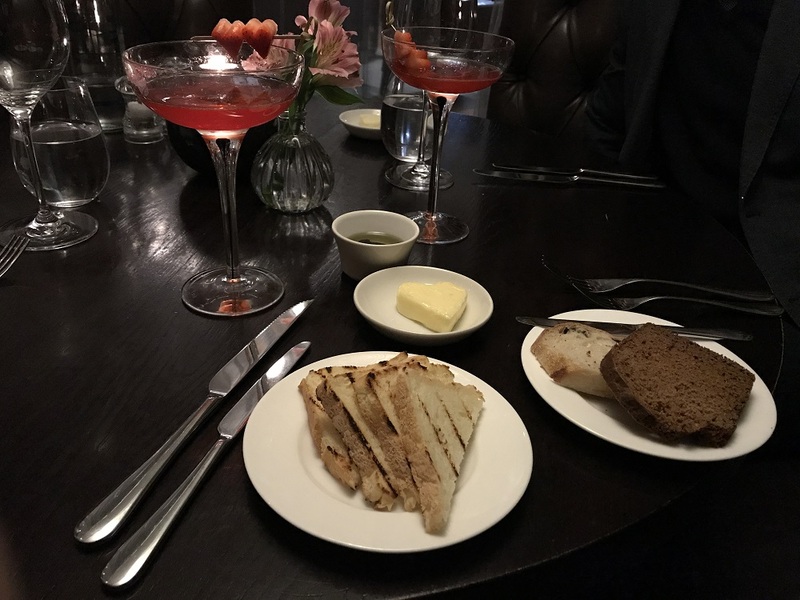 A sure sign of a good restaurant is that they were able to cater for my gluten free diet and produced some bread for me attractively cut into triangles and grill-marked to give it interest. The other breads were olive and sourdough and I’m told were delicious. For our starter we had dessert! 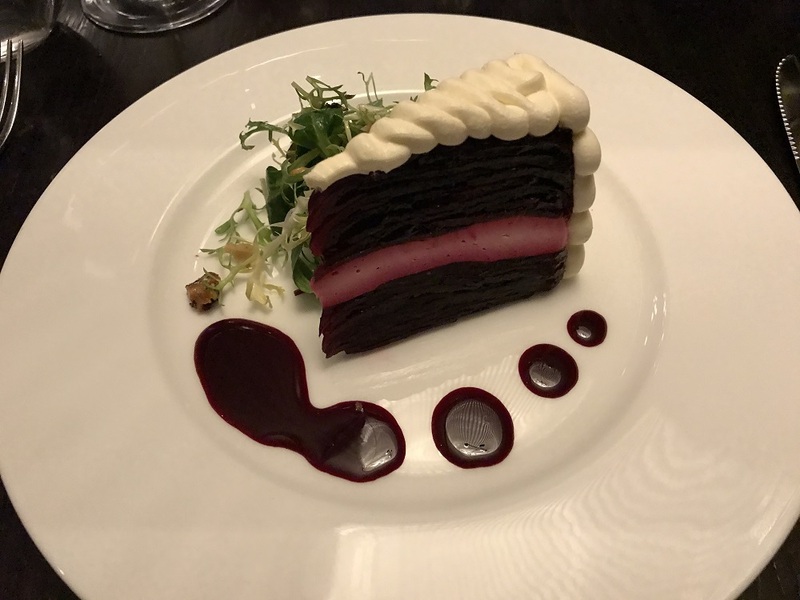 A slice of red velvet cake which was in fact caramelised beetroot and goat’s curd terrine, delicately accompanied with green leaves and hazelnuts. A visual and taste sensation. 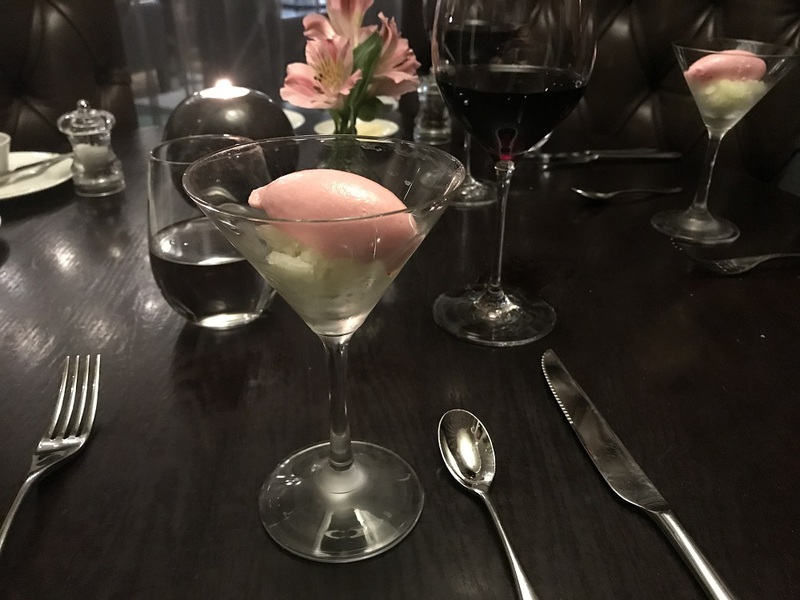 Another surprise – a palate cleanser – a refreshing Rhubarb sorbet and Granny Smith Granita. 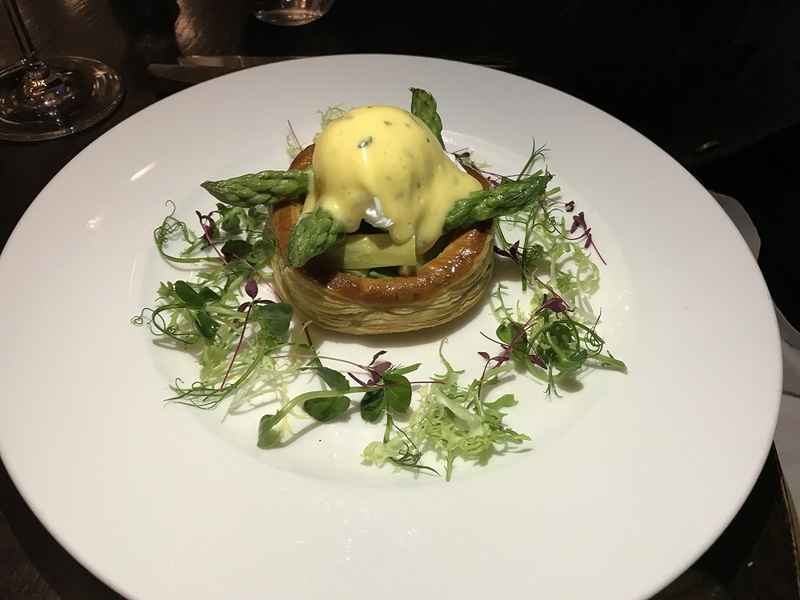 and Artichoke and asparagus tart with poached Burford brown egg and truffle hollandaise. 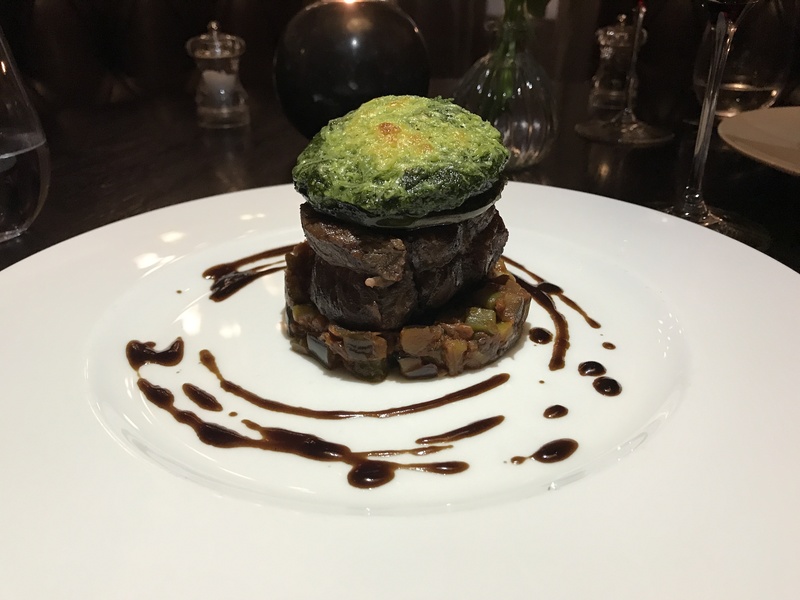 The tender beef was cooked to perfection and the crisp herb topping added an extra dimension to the texture. The tart light and tasty. 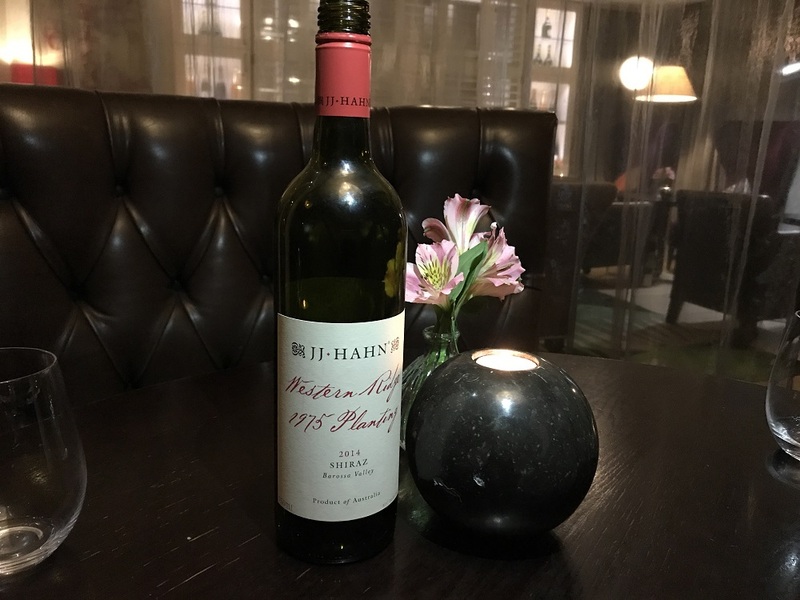 We ordered a mid-priced wine, the JJ Hahn Shiraz, from the Barossa Valley was a sensory experience in itself and was the perfect accompaniment to our dinner. For dessert, we had a starter! 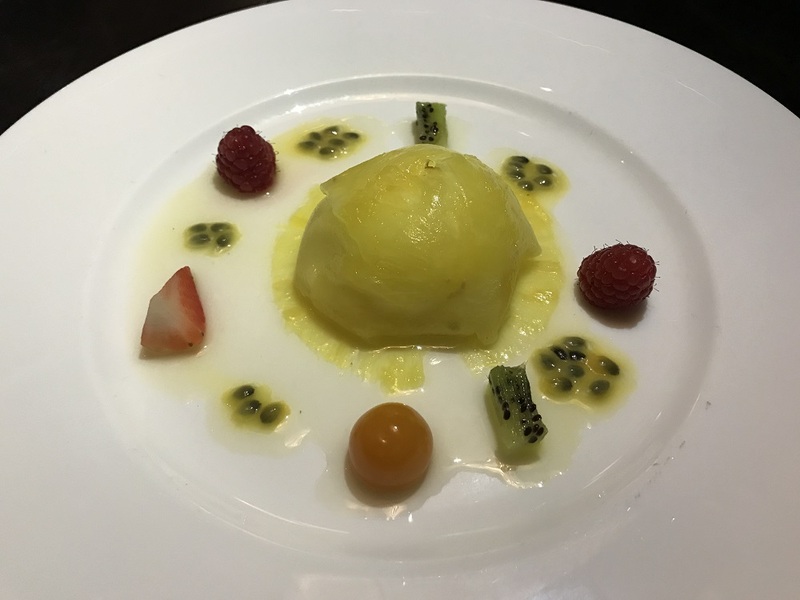 A Pineapple ravioli with passion fruit jelly and lime sorbet. Fine slices of pineapple encased a delicate lime sorbet, beautifully presented, and a refreshing end to the meal. 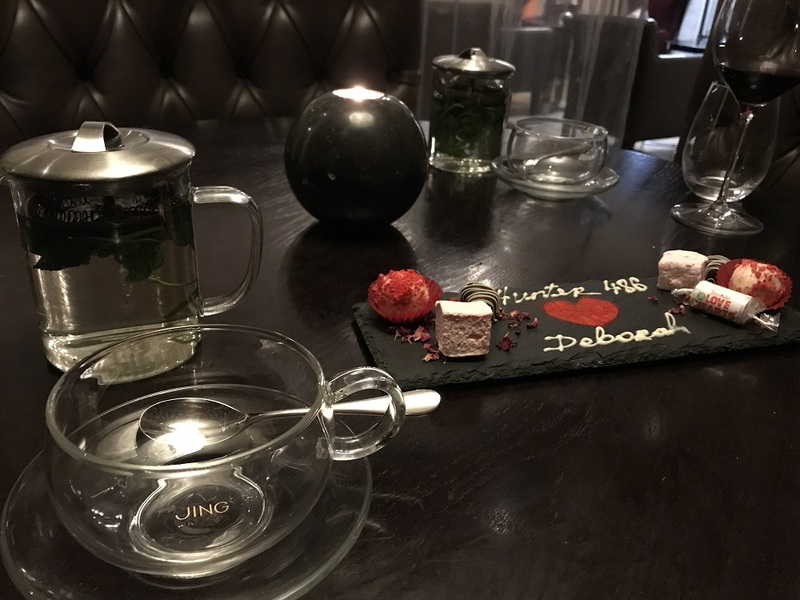 We thought we were finished but there were yet more surprises – a selection of sweets served on a slate. I won’t tell you what they contained. You will have to go and try them as it completed the evening of sensory surprises to finish off the romantic evening. We didn’t want to spoil the delicate tastes with coffee so opted for a fresh mint tea. 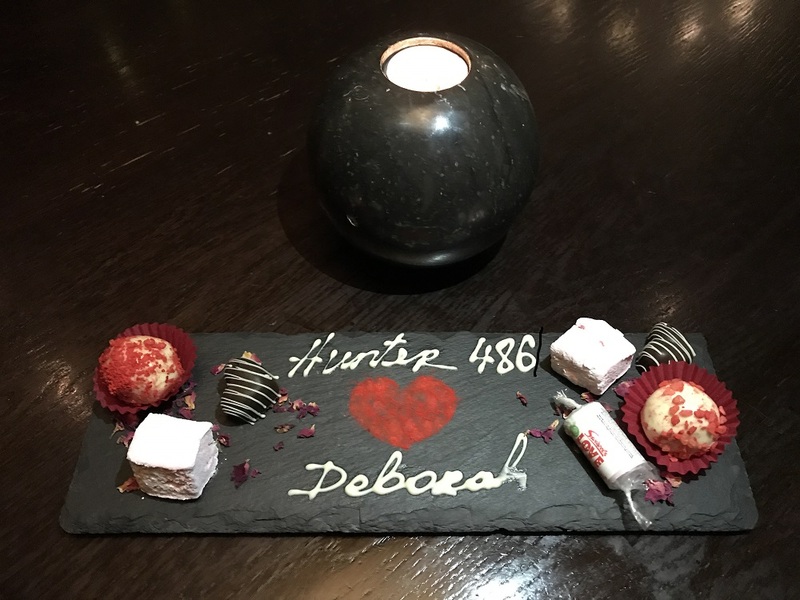 Hunter 486 has created a gastronomic experience that is sure to set hearts fluttering, whilst challenging couples senses and their taste buds. 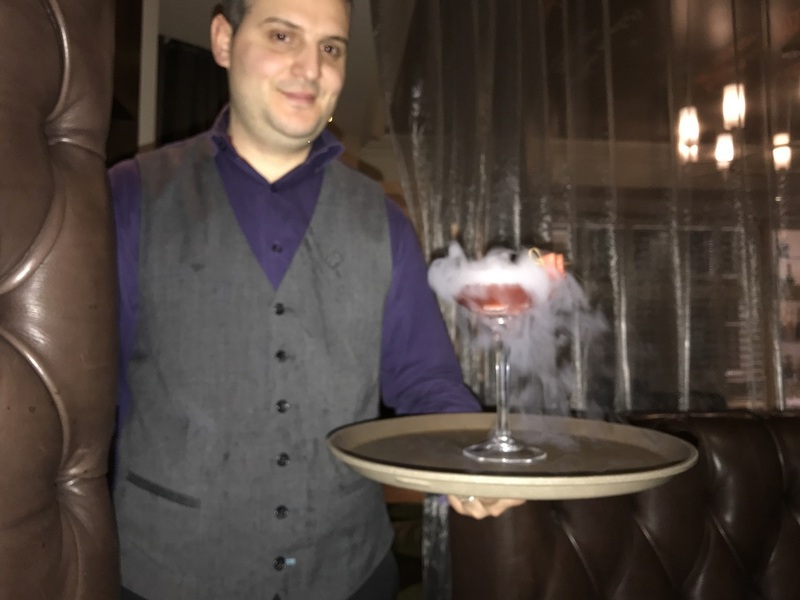 The immersive experience has starters for desserts, desserts for starters and a love potion cocktail for fun and the food is seriously good. Named after the 1950s dialling code for Marylebone, Hunter 486 has been designed with an air of nostalgic London glamour fused with contemporary touches. 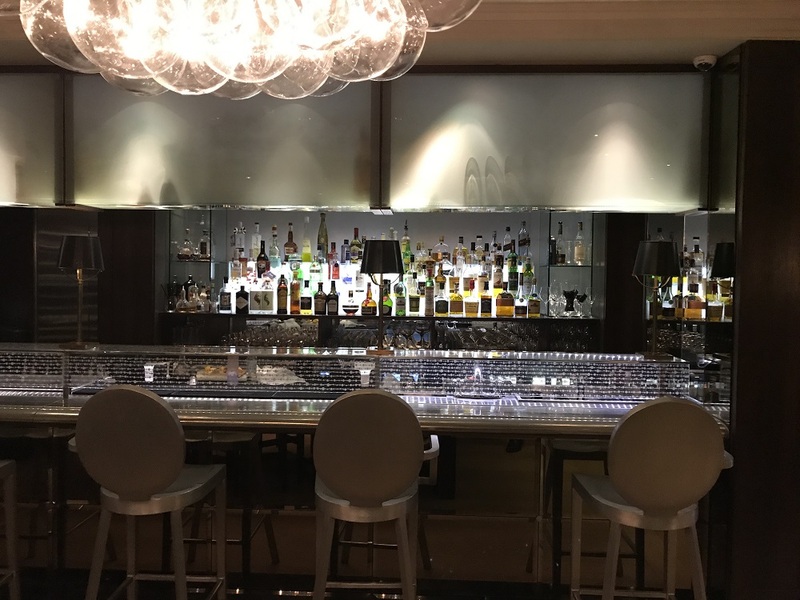 The restaurant features gleaming leather booths, blown glass chandeliers and statement artwork, plus an adjoining chic Salon de Champagne bar. Located on a peaceful street in Marylebone, The Arch London is the perfect chic retreat for couples looking for a romantic escape. 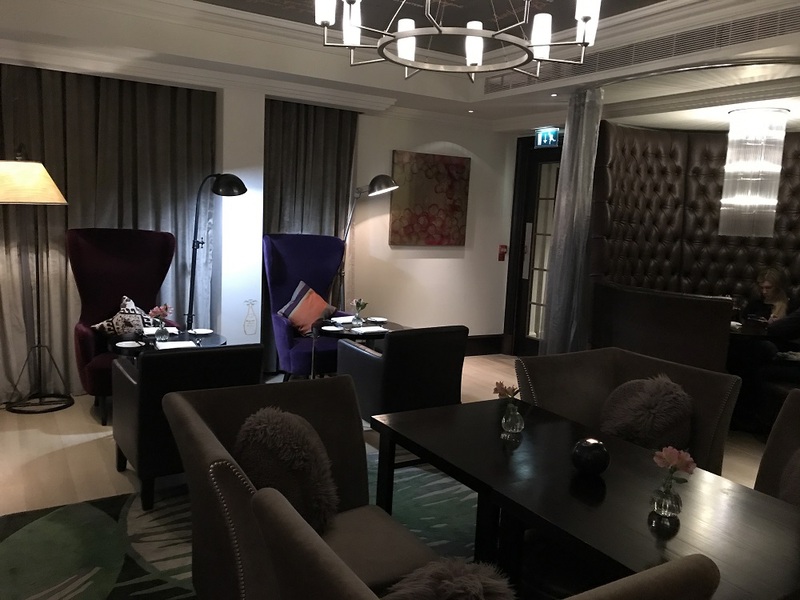 The hotel is a stone’s throw from Oxford Street and Hyde Park, making it the perfect venue for shopping, or a romantic walk in the best-known of the Royal Parks. Priced at £75 per person, this 5-course dining experience is available from 6 pm on Friday 9, Saturday 10, Wednesday 14, Friday 16 and Saturday 17 February 2018. 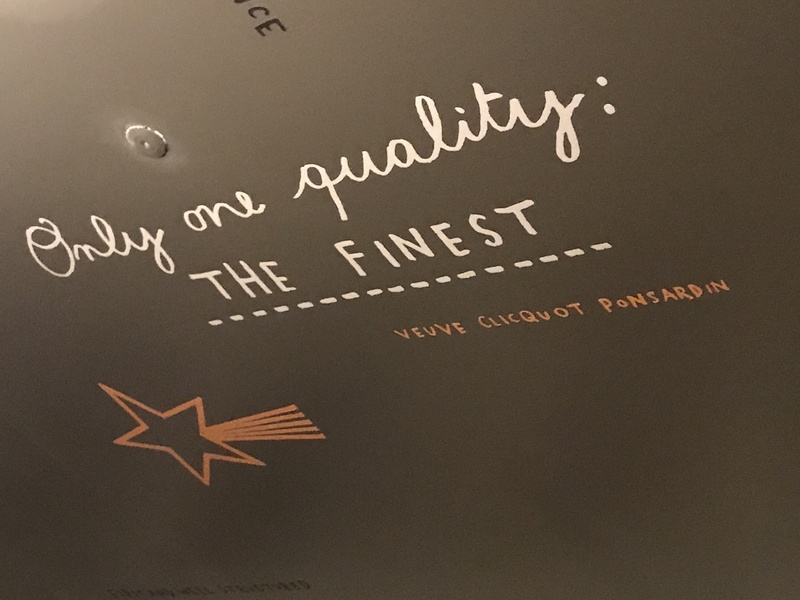 It includes a cocktail, 5-course meal with coffee, petit fours and affectionate finishing touches. For an extra special night, wind down for the evening in the comfort of one of The Arch London’s rooms or suites from £433. I cannot recommend this highly enough – truly a sensory fine dining experience that is perfect for Valentine’s Day.